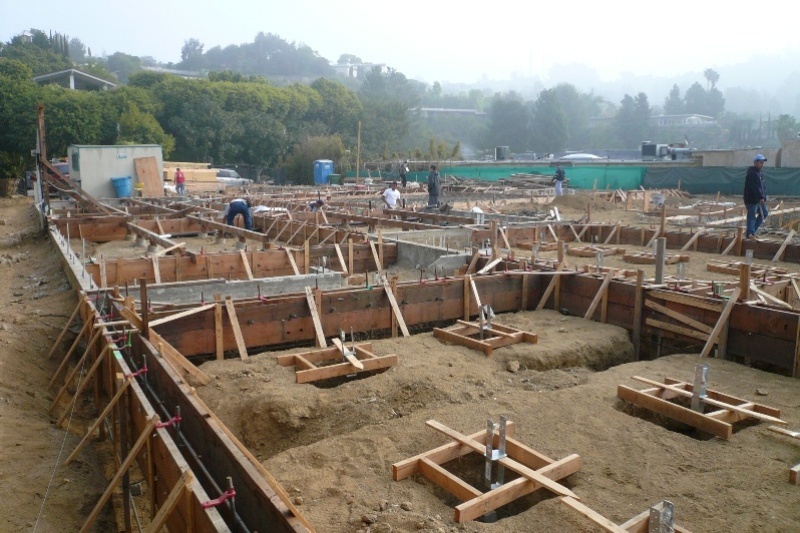 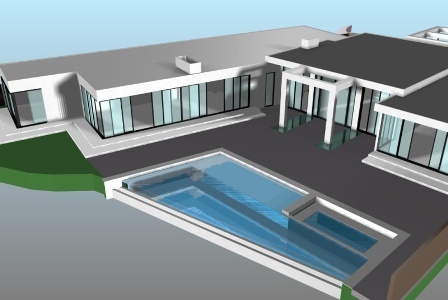 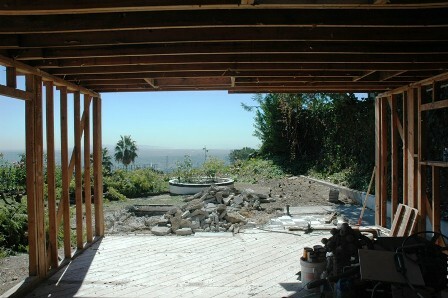 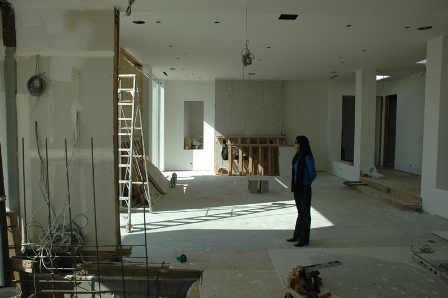 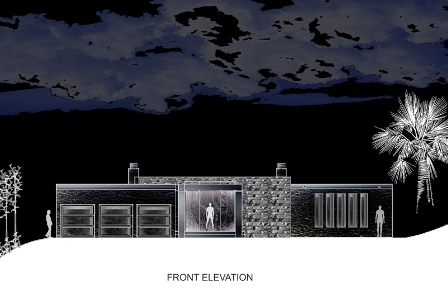 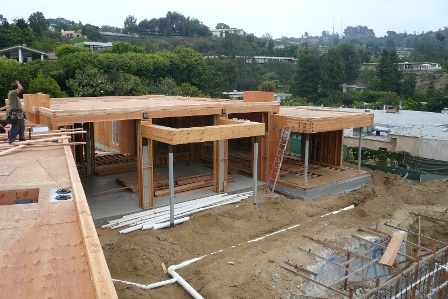 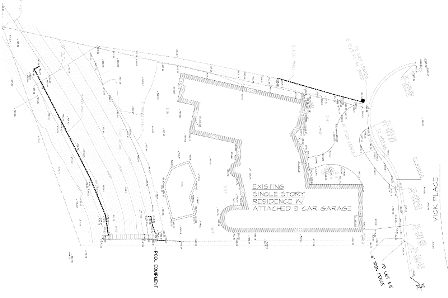 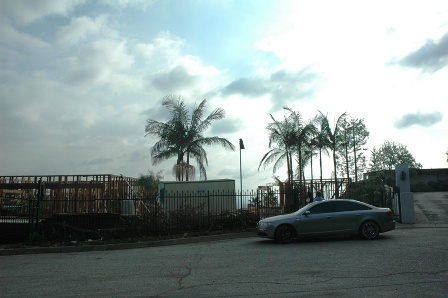 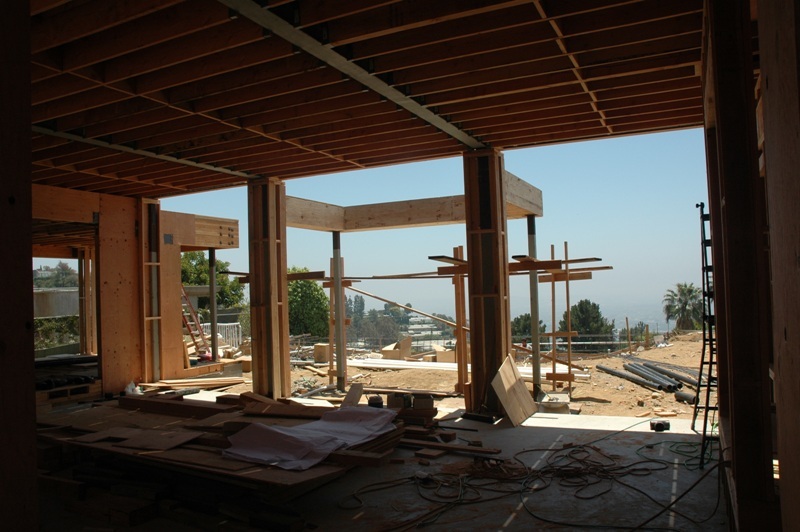 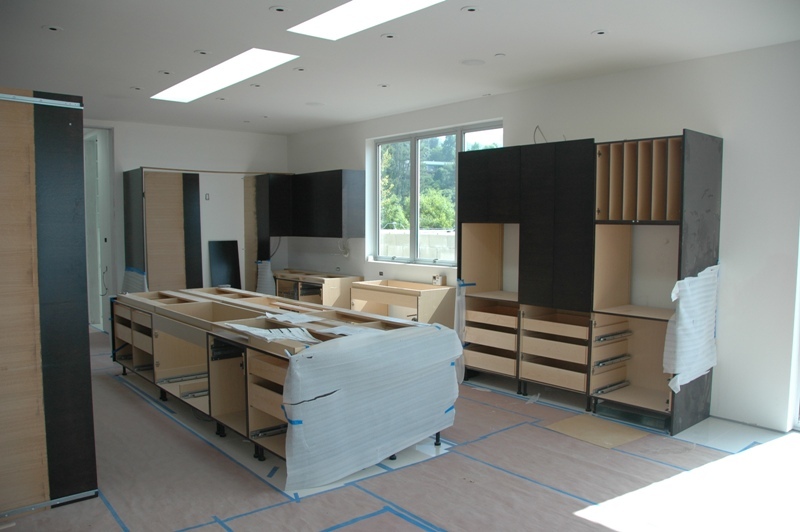 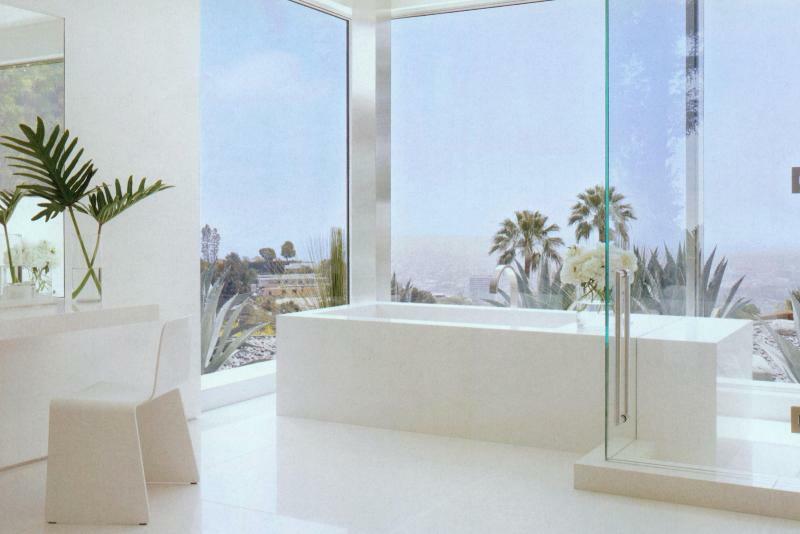 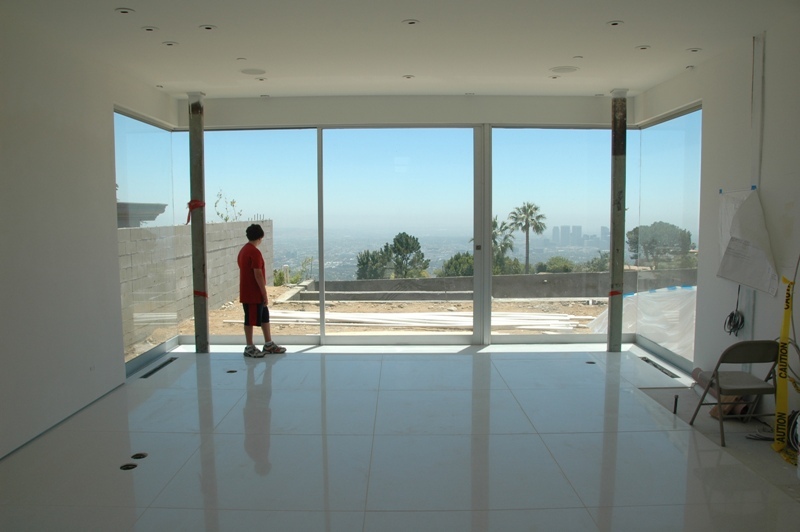 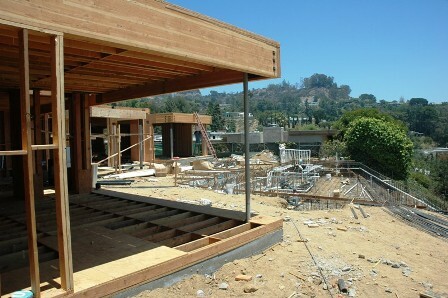 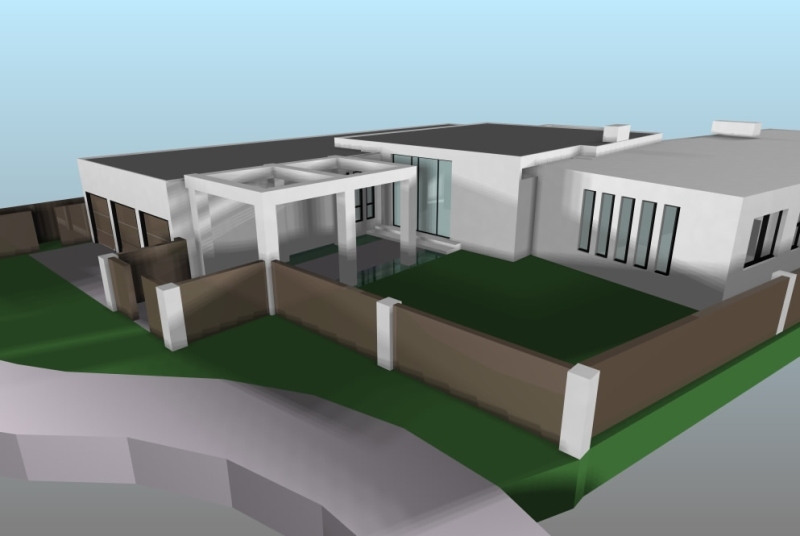 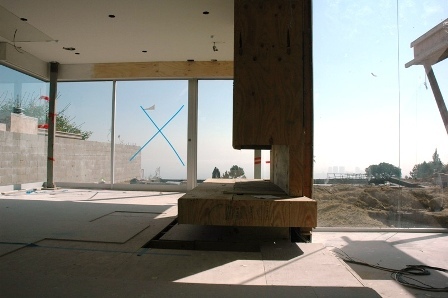 This project is a brand new 7,000 SF custom home located in Beverly Hills, CA. 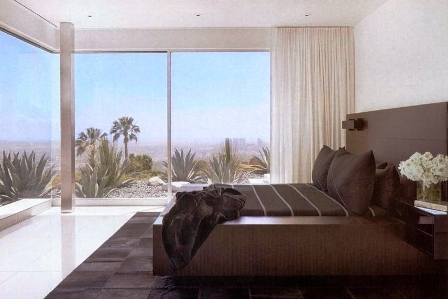 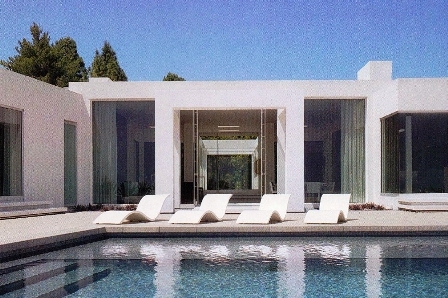 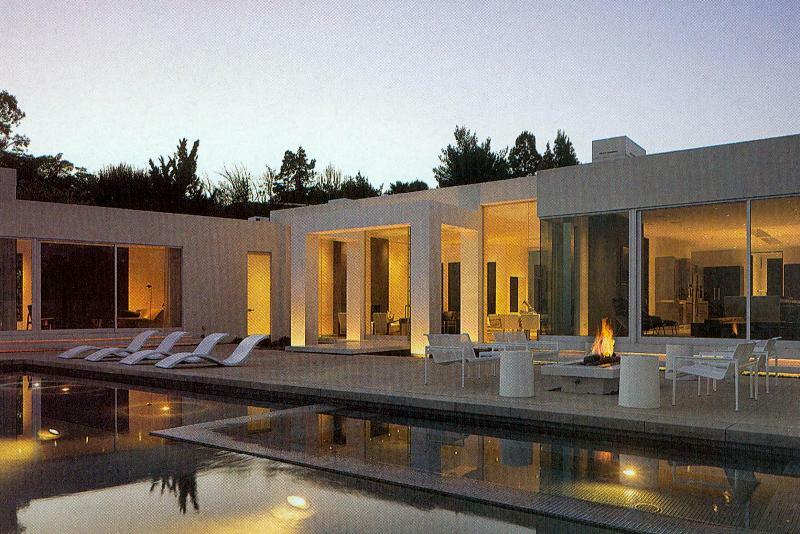 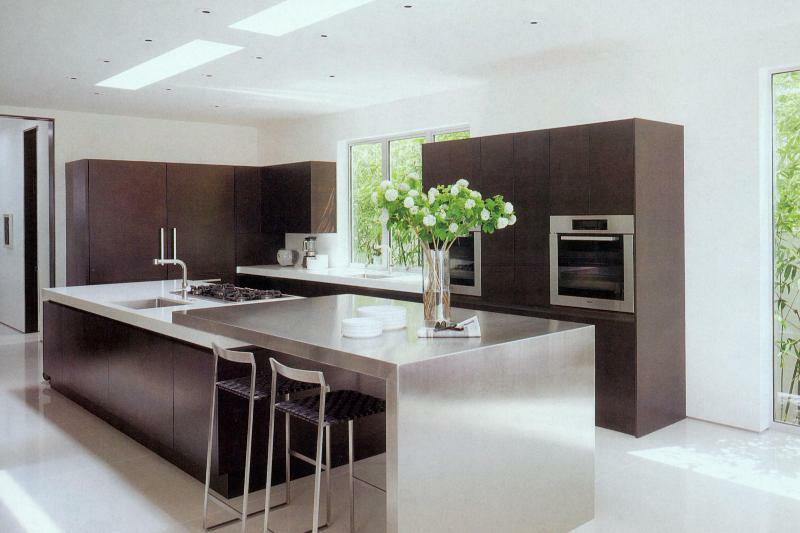 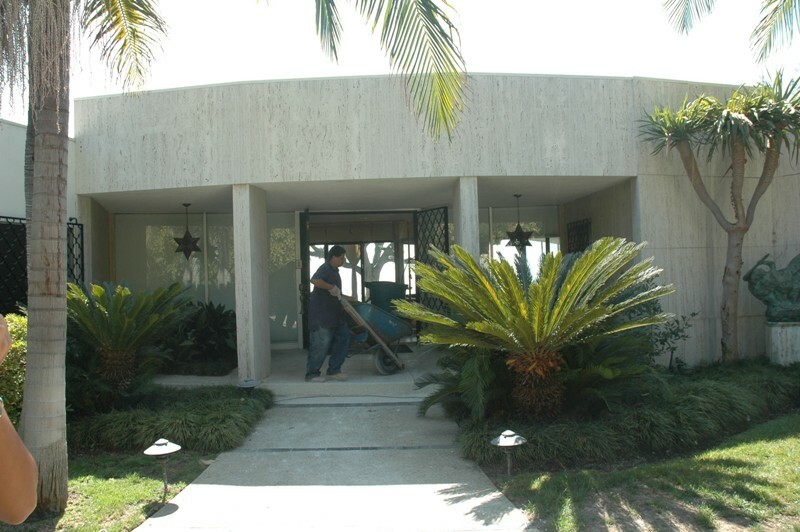 The house was proudly featured in the February 2012 issue of Architectural Digest. Unfortunately, MMA was not credited in the article as the Architect for this magnificence project. 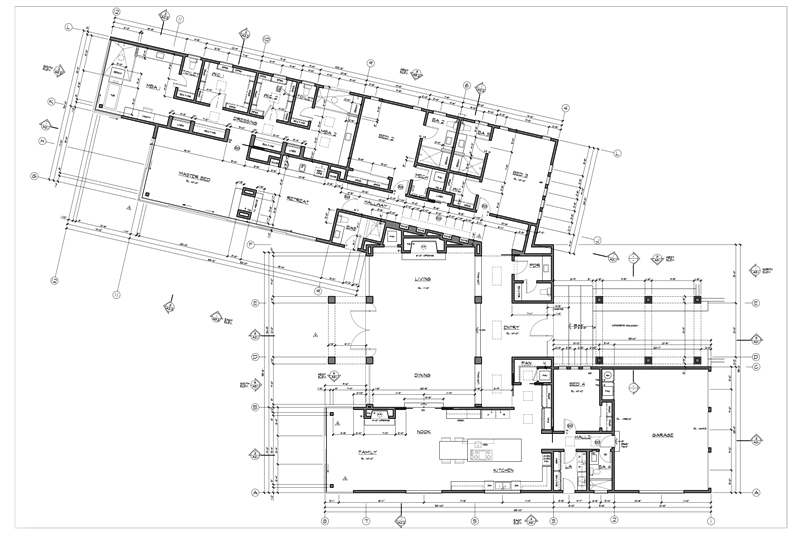 However, we have included an extensive collection of drawings and photographs to document the entire process in the development of this home. 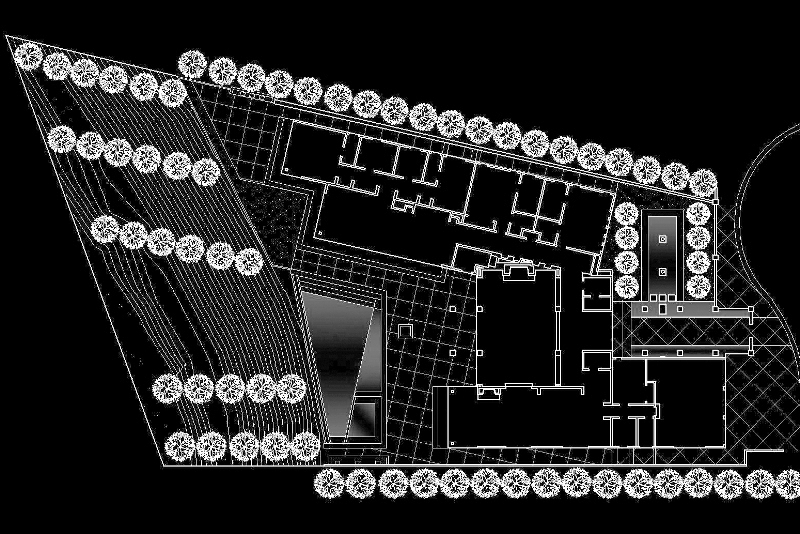 Please make sure to explore all of the images for a magical journey into the architectural process we practice. 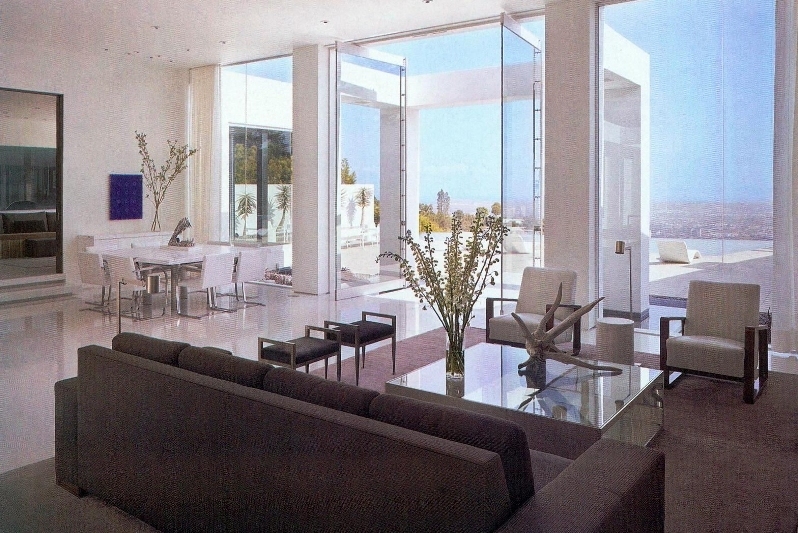 The completely new single-story residence, which replaced the original 1965 house, is situated on a pie-shaped lot that opens up to a permanently protected view of Beverly Hills and the adjacent cities below. The angled side property lines allowed for the juxtaposition of the floor plan, with the kitchen and family room aligned with the eastern edge of the site and the bedroom wing aligned with the western edge. 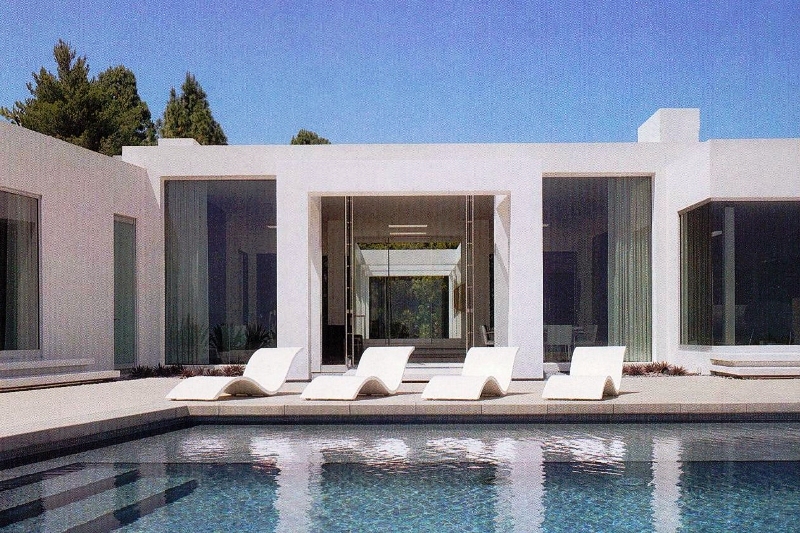 In between, the living and dining rooms open to the breath taking pool patio. As you enter the site, you are immediately greeted by a grand arcade that directs you from the street to the front door and eventually into the house. As you gaze through the all glass front door and the central body of the house, the arcade once again appears at the rear of the living room and escorts you into the back yard. 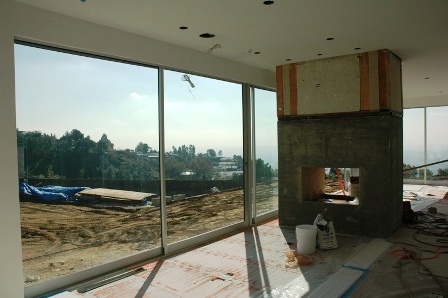 For privacy reasons, the street facing rooms were provided with narrow punched openings to allow for basic natural light and ventilation. However, the south facing rooms are enhanced by full height glass the entire width of the rooms to allow the spaces to flow directly out to the rear yard and to maximize the captivating views. 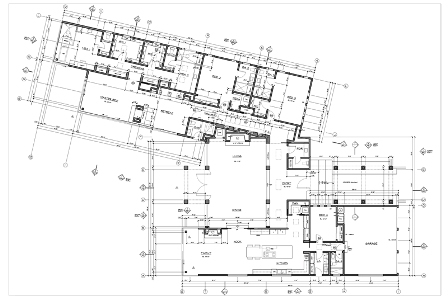 The massing elements of the house are the main features of the architectural composition. 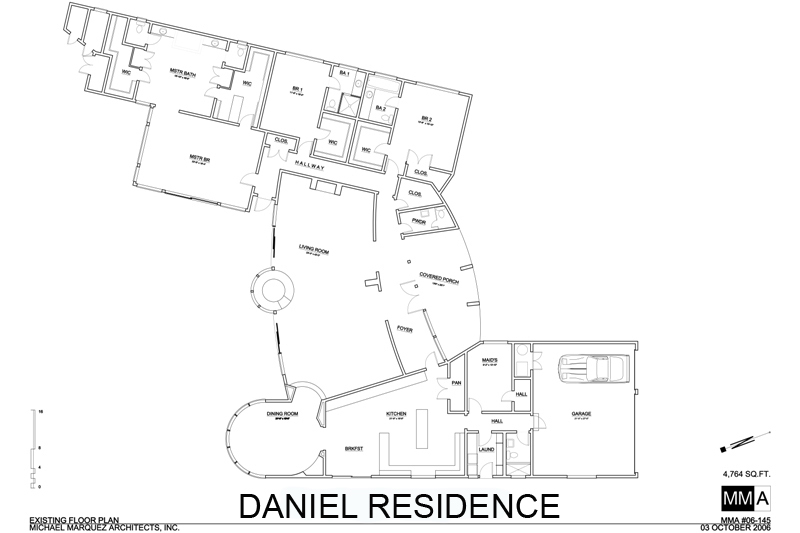 These same elements are reintroduced throughout the house in other key design components, such as the kitchen island, the master bedroom fireplace and the floating bathtub in the master bathroom. 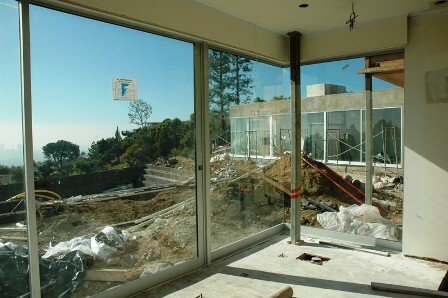 An extensive use of skylights throughout the house, also provide an abundance of natural lighting. 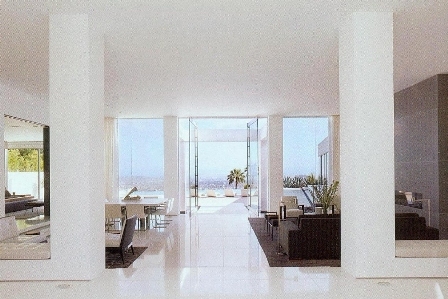 Whether in the entry, the kitchen, the hallways or the bathrooms, the warmth and the beauty of the sun are never far away.